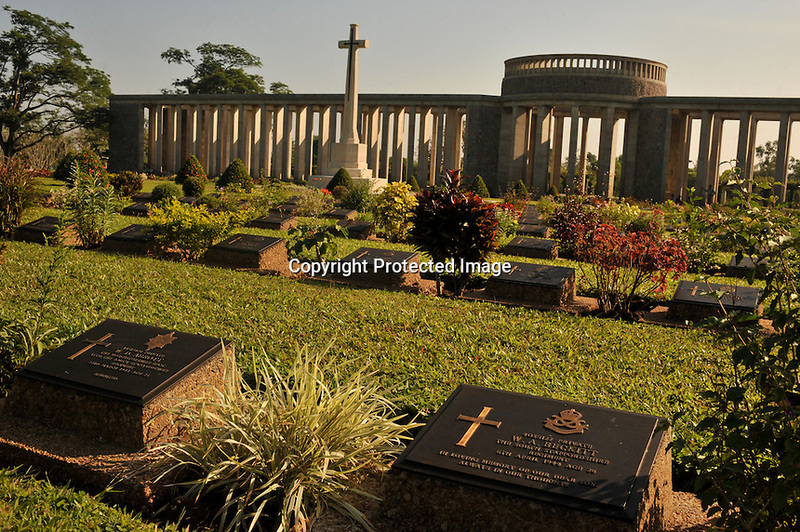 The Taukkyan War Cemetery that houses the graves of 6374 allied soldiers who died during the Burma and assam campaigns of WW11, north of Rangoon, Burma, November 2008. The is also a monumnt to 27,000 soldiers who have no known grave. The site is maintained by the Commonwealth War Graves Commission.